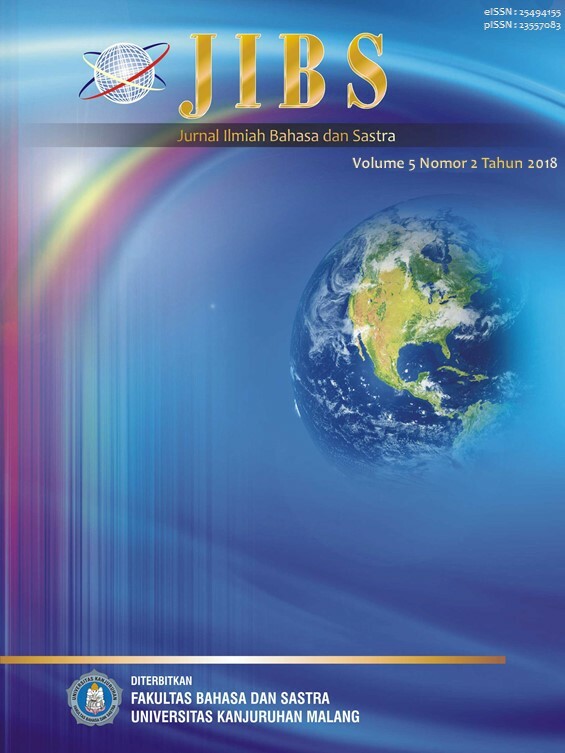 JIBS (Jurnal Ilmiah Bahasa dan Sastra) (ISSN 23557083) is an online journal published by the University of Kanjuruhan Malang. The journal encourages submission into the subject of language, literature, linguistic and its relation toward teaching both written in English and Indonesian. This journal is biannually published in June and December. The articles contain a form of study, applied theory, result of a research and discussion of literature.